Fresh Fruit Fit: Bestest Kale Chips Ever! I know, I know... it may be hard to believe that some creepy looking green thing can be so delicious, but it's true! It's great because it's sweet, savory, crunchy, and satisfying! As you make it, it may be hard to not eat it just as a fresh salad (hmmm...maybe another recipe! ), but it is sooooo worth the wait! The dehydrator condenses and deepens all the flavors so that they create a beautiful spectrum of tastes and textures. It's wonderful. 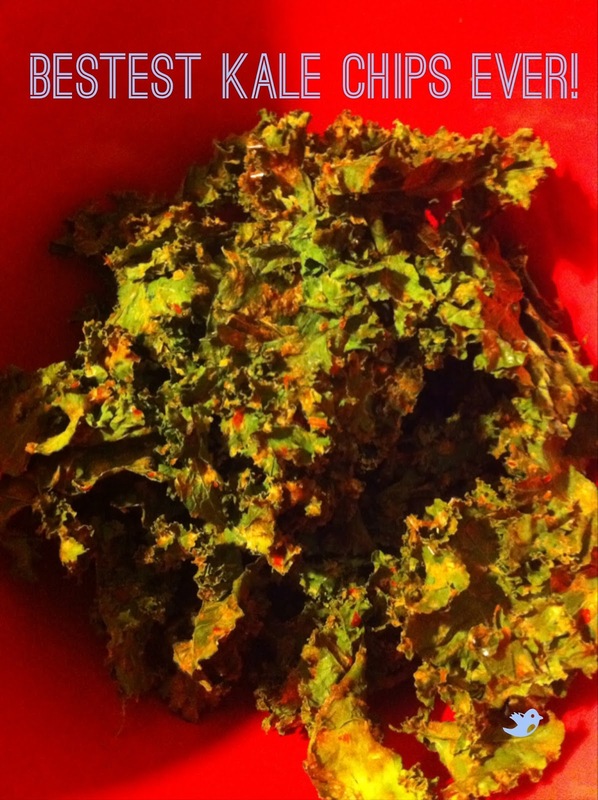 This genius kale chip recipe is taken from Amada Pure Vida. Check out her blog for more great recipes! Blend the ingredients and massage into de-stemmed kale leaves. Spread out evenly on trays (or cookie sheet with wax paper) and dehydrate at 110F for 12-15 hours (depending on the humidity where you live).